This gem never goes out of style. Pearls! 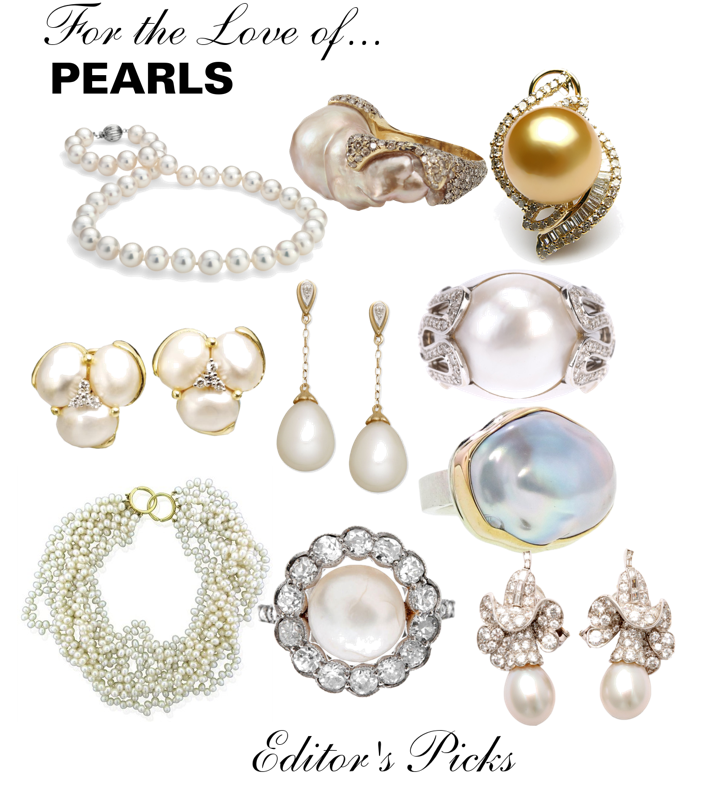 There is a pearl for every style, dress and occasion. They come in a variety of sizes, colors and arrangements perfect for jeans, or an evening gown. The addition of pearls with a pair of jeans is great and very chic French style tip. Assembled are a few that our Editors adore. Pictured top to bottom, L to R: Blue Nile freshwater cultured pearls in 14k white gold, YVEL baroque South Sea Pearl ring, Golden cultured south sea Pearl diamond pendant 12-13mm AAA, Mabe pearl cluster earrings diamonds, 14k gold earrings cultured freshwater pearl 7mm and diamonds, VERSACE pearl ring, Tiffany & Co. Picasso 18k gold multi-strand pearl Torsade necklace, ART DECO natural pearl diamond platinum ring c1920, Jamie Joseph Asymmetrical fresh water grey baroque pearl ring, Van Cleef & Arpels diamond and pearl drop earrings.